Home Car Mobile Reviews Hands On Device, Enabling Hands Off! Hands On Device, Enabling Hands Off! Jabra did it again. They have introduced a successor called Freeway to Cruiser 2 Bluetooth speaker phone for in car entertainment. This has all the features of Curiser 2 / Cruise, pairs with two phones simultaneously (ideal for those who carries official and personal phones), two microphones for noise cancellation, FM transmitter to relay the calls/ music to car stereo, Voice enabled all the commands, Call out of caller id etc. In addition to this Freeway has motion detector for automatically putting it on and off while you enter the car, 3 way speakers for surround sound ? Over all it is an excellent device to manage phone calls and music from iPod / iPhone or similar device which has BT with A2DP. From my experience with Cruiser, I give 5 stars for its voice quality and very useful features. 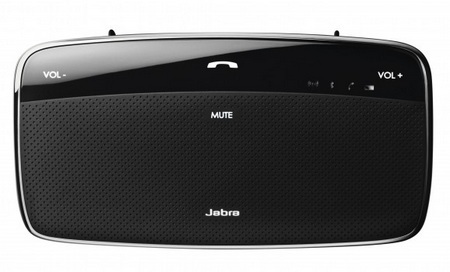 Motorola’s Roadstr has most of these features except the voice command feature found in Jabra series.